When Should Your Hearing Aids Be Removed? Inevitably, you’ll have to remove your hearing aids and clean or maintain them yourself. With your hearing ability diminished, it can be understandable why you might be hesitant to remove your hearing aids at times. It feels like you need them constantly to make sure you are hearing everything clearly. 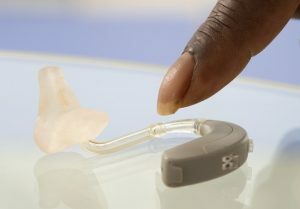 However, the time will come when you need to remove your hearing aids to protect them and yourself. The last thing in the world you want for your hearing aids is for them to get wet. It is absolutely crucial for you to protect them from moisture by all means possible. Even though your hearing aid probably designed to withstand a little moisture, whenever you are showering or going swimming, you should remove your hearing aids to ensure that you can hang on to them for as long as possible. Even bringing your hearing aids into the bathroom with you when you are about to shower is a poor idea, as the steam and humidity that will build up from the hot water will eventually damage your hearing aids. Like your ears, your hearing aids will require cleaning, and even maintenance and up keeping from time to time. Hearing aids will naturally pick up earwax and debris, so you will need tor regularly remove them to clean them at the end of each day to ensure they are ready to be used optimally the following day. You will also want to closely clean the holes and microphones of the hearing aid to ensure they are in excellent condition, and then wipe them down with a clean, dry cloth. After you have finished your nightly cleaning and maintenance on your hearing aids, it will probably be close to bedtime, meaning you should keep them removed until you are ready to start the next day. When you are trying to sleep, you do not exactly need hearing aids to help you hear anything since you should be focused on getting a good night’s rest. Even though discomfort is a thing of the past with hearing aids, your hearing aids can also prove to be uncomfortable while sleeping as they can press against your ear or head. Additionally, they will pick up noises and sounds you would not hear otherwise while sleeping, so it is best for you to keep them removed while sleeping. This entry was posted on Friday, December 22nd, 2017 at 5:51 pm. Both comments and pings are currently closed.